The Montezuma School to Farm Project unites our local agricultural heritage with our growing future by engaging students at the crossroads of sustainable agriculture, resource conservation, health, and economics through educational experiences in outdoor garden classes, on field trips, through youth farmers markets, and in summer farm camp. Imagine a world where we all know the source of our food and value the farmers and ranchers that grow it for us. Where we are all familiar with innovative water and soil conservation methods that grow our crops and protect our natural resources. Drip systems, mulching, composting, drought tolerant plant and tree varieties, watershed knowledge and best agricultural practices become like knowing your last name - obvious and easily conveyed. And where every child, family, and community member has access to fresh, affordable, local food. 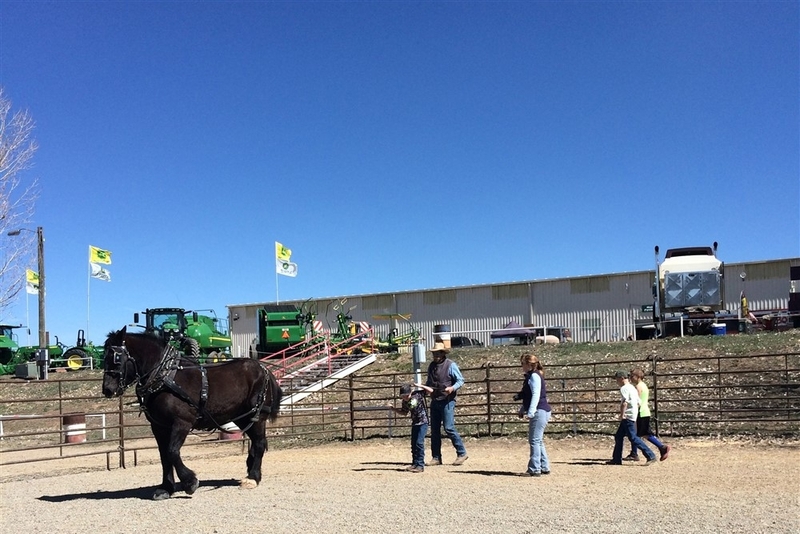 Welcome to Montezuma School to Farm Project’s vision for the future of our region. 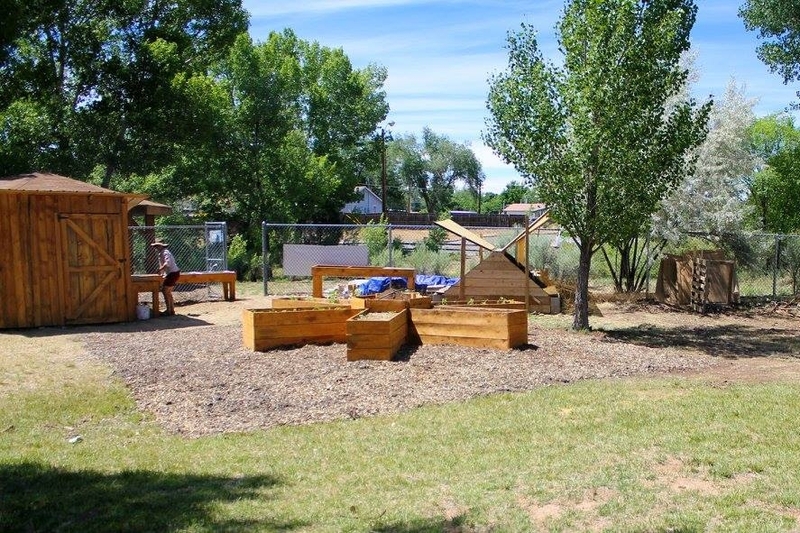 Since 2009, the Montezuma School to Farm Project (MSTFP), a program of the Mancos Conservation District in southwestern Colorado, has focused on providing integrated, hands-on, school garden classes in Montezuma County. 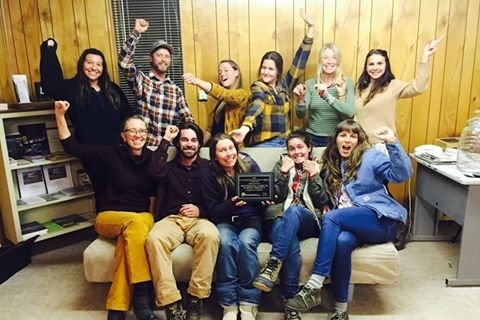 It began with a farm field trip for 40 Mancos students initiated by an AmeriCorps member in 2010. In the eight years since those barn doors first opened to local kids, the program has grown to incorporate six school garden programs, a 2+ acre School Production Area, and a cutting edge curriculum for more than 2,300 students on a monthly basis. The school garden classrooms provide accessible living laboratories where diet/nutrition, active lifestyle, water and soil conservation, and core curriculum lessons intersect. Whether it’s writing a poem about a plant’s life cycle, actively learning the science behind seed germination studying the history of drought in the Southwest, cooking with fresh vegetables, or translating seed packet instructions into Spanish or Navajo, the garden is easily woven into every subject. Classes are an integral part of the school day so that learning in the school garden coincides with important science and math core lessons. Students integrate their learning in a meaningful way because they are an active participant in their learning experiences. Professional School Garden Coordinators placed in each school district are a key ingredient to the programs' foundational success. Anyone that has worked a field or planted a garden knows the value of an experienced eye that works the same plot of land year after year, building relationships in the school district with students and staff, and throughout the community with businesses, organizations, and volunteers alike. School Garden Coordinators provide the stability that allows the programs to thrive. Each coordinator works with a team of AmeriCorps staff to maintain and expand the school gardens, track and implement planning schedules, plan classes with teachers, and implement weekly lessons that utilize the Common Core Standards. This type of expert planning provides classes that are integral to the school day, not just an extracurricular activity - a key component to MSTFP’s overwhelming success in the region. Kemper Students visit the White House Kitchen Garden - Twice! AmeriCorps NCCC team served with MSTFP for three months!